Your new room awaits! Whether you’ve already got a plan in mind or are looking for inspiration, we’ll lend a helping hand. Homestead Window Treatments stands behind the exceptional expertise of our designers and the quality of our designs. 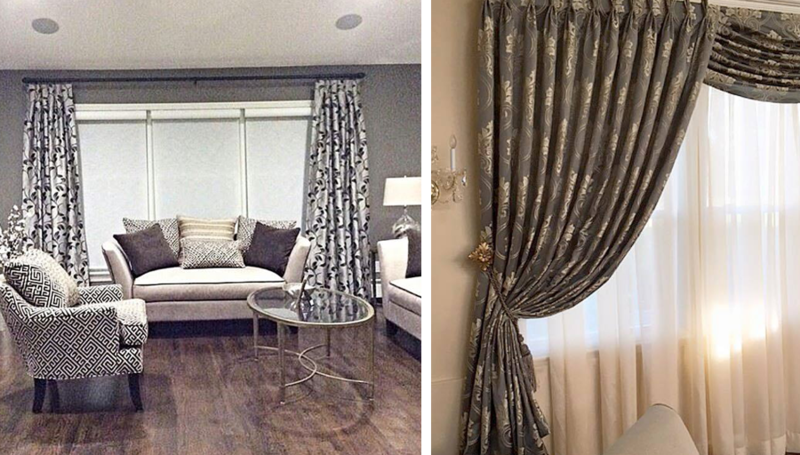 Custom made curtains and other custom window treatments are perfect for giving any living space a personal feel. Window Treatments need to be both functional and aesthetic. Many homes have privacy concerns and would like their windows to add to the décor of the home. A window treatment is the finishing touch to a well-designed room. One of our professional interior designers can assist you with selecting a fabric that works with your existing furniture, rugs and wall colors. An interior designer can also present you with different styles of window treatments that will meet your functional needs and will work with your décor. Nancy is a graduate from FIT, continues her studies with the New York School of Interior Design and is a member of the American Society of Interior Designers. She is a dedicated professional in seeing all of her projects through from beginning to end. She is supported by a professional staff who are committed to excellence. No project is too big or too small. 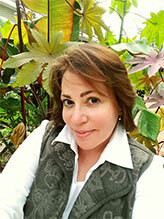 She offers initial complimentary consultations for design work as well as courtesy pricing to her Homestead clients. 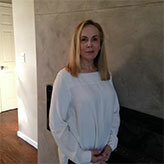 Linda has been in the interior design business for over 30 years. She graduated with an Art degree from Queens College and an interior design degree from Post College. She's an expert in all facets of design from concept to fruition. She looks forward to meeting with you and making your home look beautiful! Sometimes when you’re choosing custom window treatments, you don’t know where to start, or you see SO many good ideas that you’re “stuck,” unable to decide: information overload! Horizontal or vertical blinds? Pleated or Roman shades? To motorize or not? Maybe valances would look good in this room. And all those books of fabric samples! There often is no one right answer; just go with your heart. We at Homestead Window Treatments understand this process thoroughly, which is why we offer you expert at-home window treatment consultation. Like the colors of the walls themselves, the hues and textures of your window treatments matter and of course we want you to be happy with them always. You may like a certain color or texture of window treatment but don’t know how to describe it in the trade’s or designer’s terms. At your at-home window treatment consultation, we help you articulate your vision as you pore over our many books of swatches and other sample pieces in selecting the proper window treatment for your space. We factor in privacy, light control, and insulation needs. 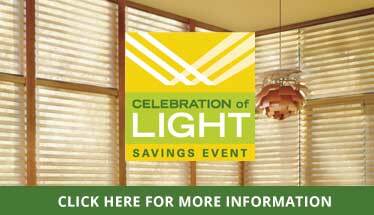 Plus we let you know about advances such as cordless window treatments if your home has children or pets. At your window treatment consultation, work with our seasoned pros to translate your idea for your windows into practical steps and adaptations in order to create the custom window treatments you have always dreamed of. With the right draperies, shades, or blinds in place, your room will be a place you will love returning to daily and showing off to your friends! While our designers have degrees and certifications, knowing good theory thoroughly, first and foremost they listen to you. We brainstorm with you to come up with the perfect window treatments — for you. You never have to “settle.” Let’s get started on the custom window treatments you really want. Contact or visit our Huntington Station, NY store to make an appointment for your free initial at-home window treatment consultation.